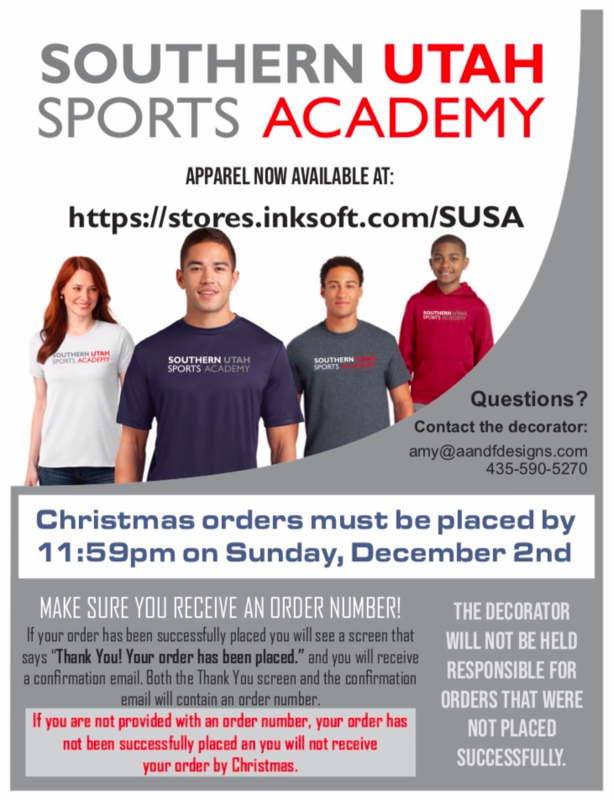 Needing a fun Christmas gift idea for your SUSA sports fanatics?!? We are excited to introduce our brand new Southern Utah Sports Academy fan gear! Place your order by 11:59pm on Sunday, December 2nd to receive your order before Christmas! Click on the link below to check out the options, and to place your order!